I usually go to school at seven forty. eg：I have breakfast every morning. 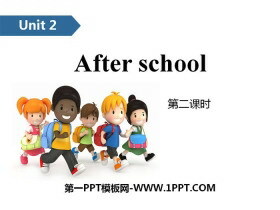 eg：We usually have dinner at 6 o’clock pm. 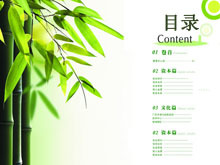 小练习：Have your dinner before you watch TV. — ______ do you go to school? —I go to school from Monday to Friday. 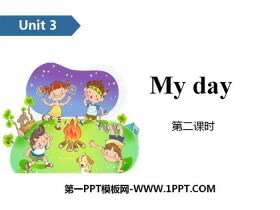 When do you get up Pe-ter, hei-lo-li, e-very day? 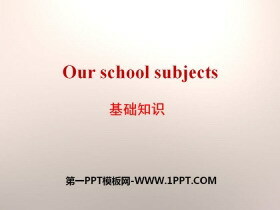 When do you go to school, hei-lo-li, e-very day? I get up at six thir-ty, hei-lo-li, e-very day. I go to school at se-venthir-ty, hei-lo-li, e-very day. Share your passage using frequent adverbs. 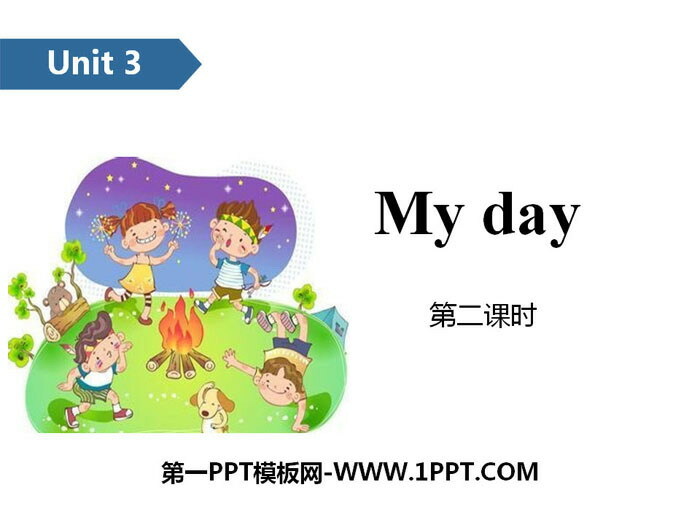 《My day》PPT(第一课时) 第一部分内容：Introduce get up what day When do you get up every day? 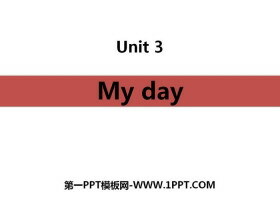 ... ... ... My dayPPT，第二部分内容：Words usually [juuli] 作副词，意为通常..
《My day》PPT教学课件 第一部分内容：教学目标 1、在情境中学习词汇和动词短语go to school, usually, in the morning, have lunch, go home, do my homework, have dinner, watch T..